Stylish accessory for proper cottage evenings. With the practical bag made of olive suede by Schuhmacher, you have everything with you and enhance your traditional outfit with style. Mobile phone, wallet, key chain and make-up bags can be easily accommodated. 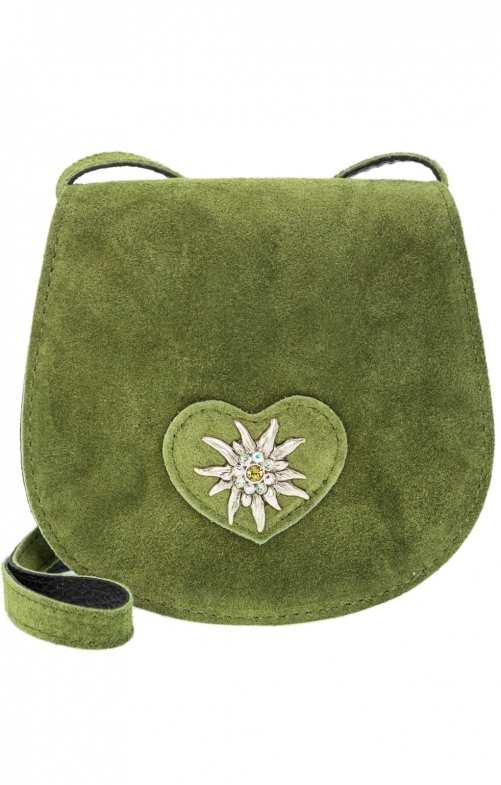 The decorative heart application with edelweiss makes the pleasant shoulder bag with adjustable strap a real favourite.